India is a land of adventures. Nothing can quite match the stunning natural beauty of thick forests, great mountain ranges, and pristine rivers. As stunning as it looks in the day time, nature's grandeur enriches at night, under mesmerizing stars and moon speckled darkness. 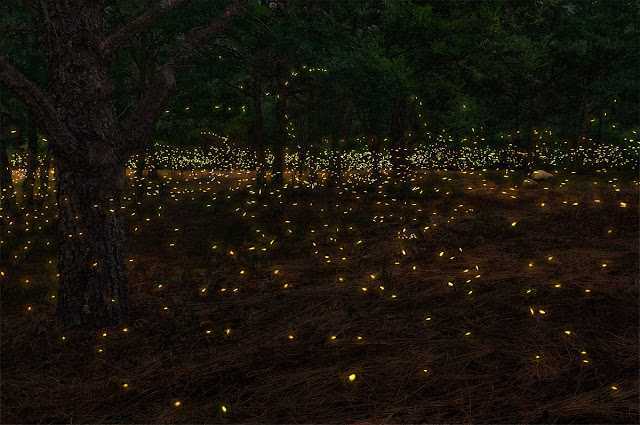 And what better way than a trek to witness nature at night in its purest form? 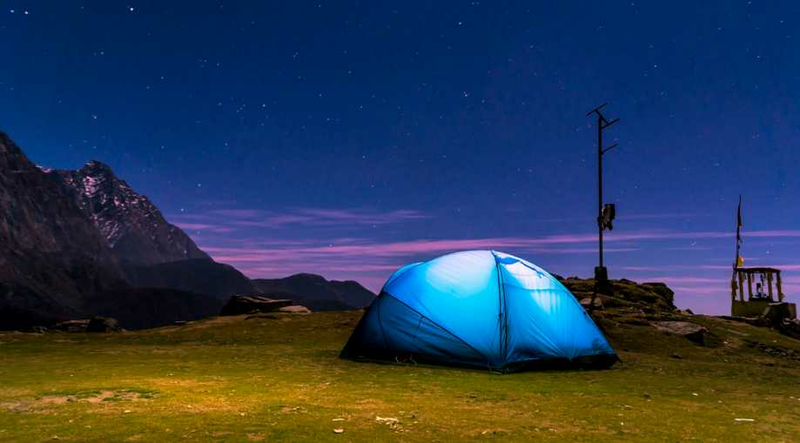 Read on to know about 7 of the best night trekking destinations in India. After all, the night is dark and full of adventures. Anthargange combines the thrill of a night trek and cave exploration and is one of the most adventurous trekking routes out there. Located near Bangalore (65 km), Anthargange is sited amidst boulders. The trek commences around midnight and starts from finding a way through maze-like paths and large rocks leading to a cave. This amazing experience makes you use all your sets of skills such as crawling, rock climbing, and chimney climbing to make your way through the volcanic rock formation. This 3 km long trek starts off as easy and goes on to become challenging and even more fun. You can also trek to the summit which lies at 1226 meters and offers breathtaking panoramic views of surrounding mountains. If you are looking for a trek route that goes through lush green forests with aesthetic flowers and wild animals with snow-capped mountains in the surrounding, the Dhotrey - Tonglu route is the right one for you. Situated in Darjeeling, close to Singalila National Park in West Bengal, Dhotrey is a small village with a number of people so small that you can count them on your fingers. The trek goes on through Maneybhanjyang, which is located at a height of 2134 m. You will come across lovely forests of Rhododendron, Pine, Birch, Fir, and Bamboo Glades. The trek also offers spectacular views of the Kanchendzonga Range. The best time to go on this trek is during the spring (March, April, May) as the season welcomes a huge variety of rhododendrons that enriches the beauty of the route. Given its romantic and picturesque features, this unique route is best enjoyed with your partner. Mumbaikars looking for a one-day getaway can head over to Rajmachi Fort near Mumbai - Pune expressway in Maharashtra. Nestled in the peaceful Sahyadri range, Rajmachi fort is popular among those who love deep valleys, camping, trails, waterfalls, and all things nature. The experience is one of a kind and even better in monsoon when the waterfalls become active and the sky after a downpour looks simply mesmerizing. The only complication arises when the roads on the route turn muddy. This means that you can't ride your vehicle at all. Be prepared to walk a long distance on this route. Fret not, as there will be multiple resting places on the route, and you will also get tea and pakoras with a stunning view at some places. If you are new to trekking, I suggest you skip this route for now and come back when you have more experience. Also known as trekker's paradise, Harishchandragad is located at the border of Pune, near Thane and is also one of the best trekking locations in Maharashtra. The route is popular among trekkers and adventure enthusiasts because of a diverse range of flora and fauna found along the route. Harishchandragad is known for its marvellous natural beauty, a challenging trek, and amazing viewpoints – Konkan Kada and Taramati (the highest peak in Harishchandragad) – that offers spectacular views of neighbouring hills and valleys. You will find Temple of Harishchandreshwar, Ganesh Gufa, Kedareshwar Cave, and Saptatirtha in your route. Kabbal Durga is a village in Karnataka, located 80 km away from Bengaluru. The village is famous for its temple dedicated to Goddess Kabbalamma and a fort which is now in the state of ruins. This route is not for the weak hearted ones. The path is steep and full of rocks and boulders. Hence, it is mandatory that you are in a good state of health and fit enough to walk on rocky terrains. The trek lasts for an hour and a half. Set up a tent once you reach the top and spend a memorable night with your loved ones under a star-studded sky. The Ranganathaswamy Betta trek can be enjoyed by both beginners and professionals as the path is moderately difficult to walk on and mostly flat. At the summit, a Hindu temple is situated at the base of a huge granite boulder. This is why pilgrims, along with nature lovers love trekking on this route. Keep an eye for the beautiful animals that reside in the area, including Asian Elephants. Located 80 km from Bangalore, this trek is a refreshing change from the hustle-bustle of the city life. Don't just sit and binge watch Netflix this monsoon, get out and head over to Vikatgad for an amazing monsoon night trek. This destination, located amidst lush green forests looks best after a downpour. Vikatgad is an underdog when it comes to trekking places near Mumbai and Pune. This adds to your benefits as you will get fewer than expected crowd at this place. The village also houses a fort which has a dome-shaped like Lord Ganesha's head. According to historical references, Shivaji Maharaj used the caves in the fort as silos to store grains. Visit Vikatgad to immerse yourself in nature as well as history. Morning treks are fairly common and also easy to execute. It's time to up your game. 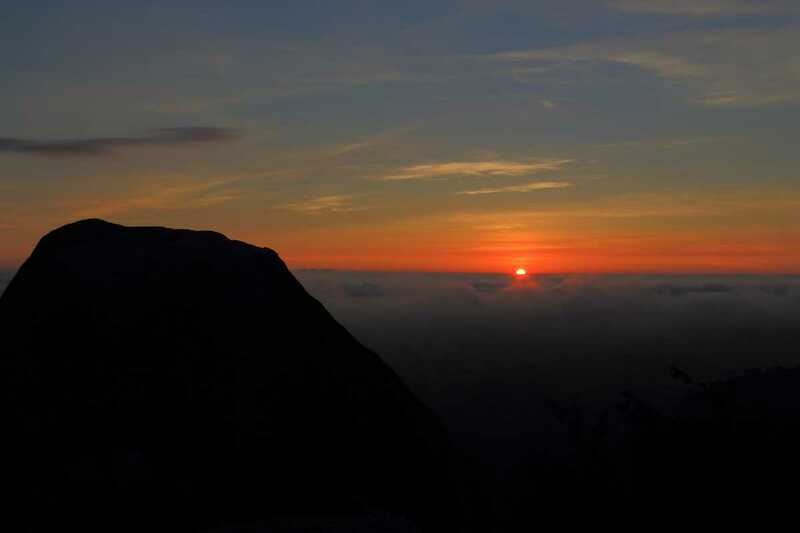 Indulge in night treks for a revamped experience and an adrenaline rush like never before.